We woke up at around 6.30am and packed our stuff for the trip to Bangkok. The bus company’s tuk2 that we booked 2 days before came to pick us at hotel at 7.45am and brought us to the company’s office. We embarked on our journey at 8.00am. As i stated before in my previous post, there are couple of reason why I chose this company. Firstly, the feedback from the previous customers of this company was very good. Eventhough it’s a little bit expensive, but there is assurance you will not suffer throughout the journey or encounter any mishaps. 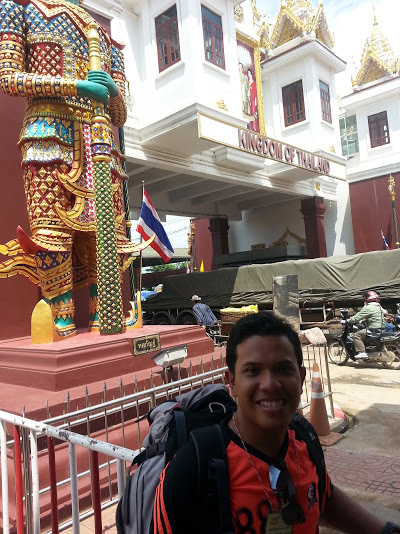 I dont want to take risk because once we reach the the border of cambodia and Thailand, anything can happen. Then, the seat is comfortable and they provided us with morning snacks and lunch. I came across reviews about other companies that provided the same service to Bangkok albeit with lower prices, and the feedback was very bad. They had to compress themselves in a bus of 60 people for 4 hours journey to the border and once u pass through the border , u had to scuffle for minivan. Hence, I chose Nattakan bus company which provided the hassle-free service. The bus reached the border at 11.30am. The whole process at the immigration took us about 45 minutes and everything was going smooth as planned. We saw some problems faced by those who used other bus and there shoutings in which we cant understand. The bus conductor patiently waited for us at the other side of the border before guiding us back to the bus and continued our journey to Bangkok. 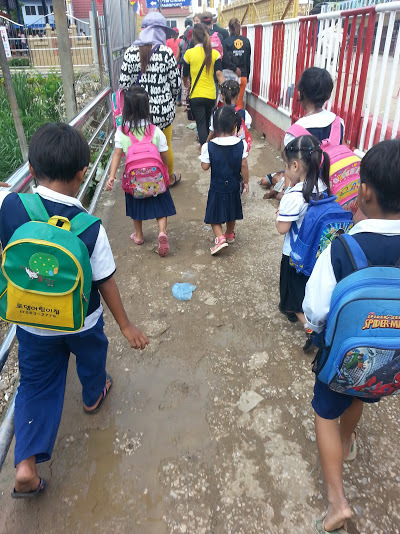 One interesting sight was school children passing through the border everyday,in which they are cambodians who are schooled in Thailand. They literally going abroad everyday ! crossing the border with the kids ! We arrived at Bangkok Mo Chit bus station at 4.30pm. 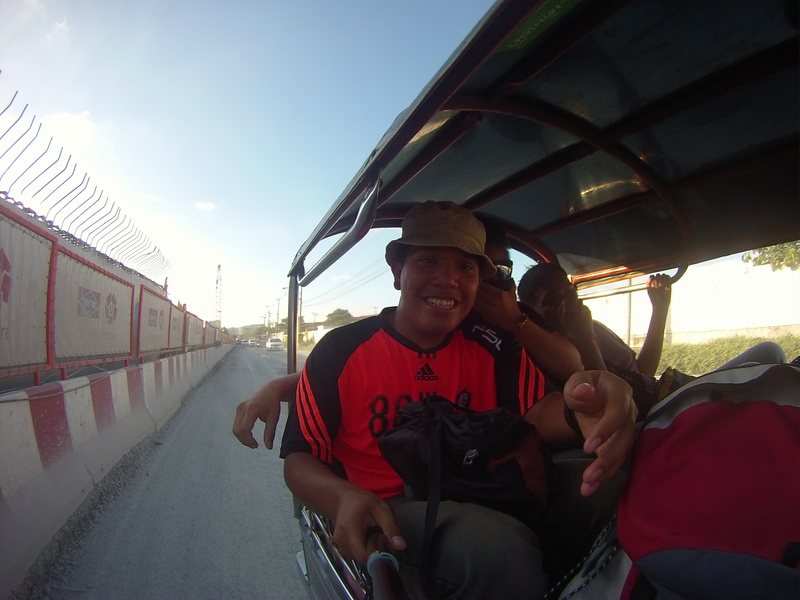 Initially we plan to take taxi to the nearest MRT station but the price was expensive so we took Tuk2 instead. From the MRT Mo Chit station, we shoot straight to Hualampong Central Train station to buy our ticket to Surat Thani next Monday. This is where people come to take trains to all other cities in Thailand. When we first arrived there, the person in charged at the information counter recommended us to take package to Krabi as it would be easier. She brought us to the travel agent office to book the packages. However, after much consideration, we concluded that the package price was too pricey (1000 baht , inclusive of 2nd class train ticket and bus from Surat Thani to Krabi). Luckily we did our research prior the journey and we decided to gamble and will just take any bus at the Surat Thani train station and hop into any bus once we reach there later. 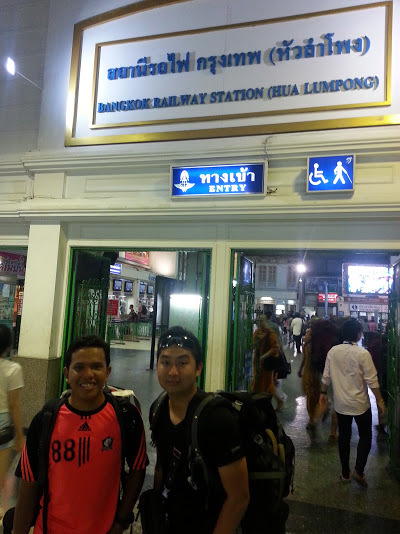 The fare for 2nd class fan ticket to Surat Thani cost us around 500 baht. We had our dinner at a foodstall besides the Hualamphong Railway Station. I bump into a local who actually can speak Malay and he showed us the halal food stall. It is important for travellers to ask questions to locals because u would not know what kind of assistance u can get unless u open your mouth. Once we finished our dinner, we departed to On Nut MRT station via the Sukhumvit Interchange MRT Station. From On Nut, we took taxi to our hotel that I already booked. Initially, we came to the wrong hotel and I alreay worried that we might not be able to reach the hotel as the time already 10pm. Luckily we still managed to find the hotel after roaming around the area. The location of the hotel was quite isolated. Maybe that’s the reason why the price is cheap. We only paid RM66 per night(I booked online through Agoda) for a King size bedroom plus breakfast. 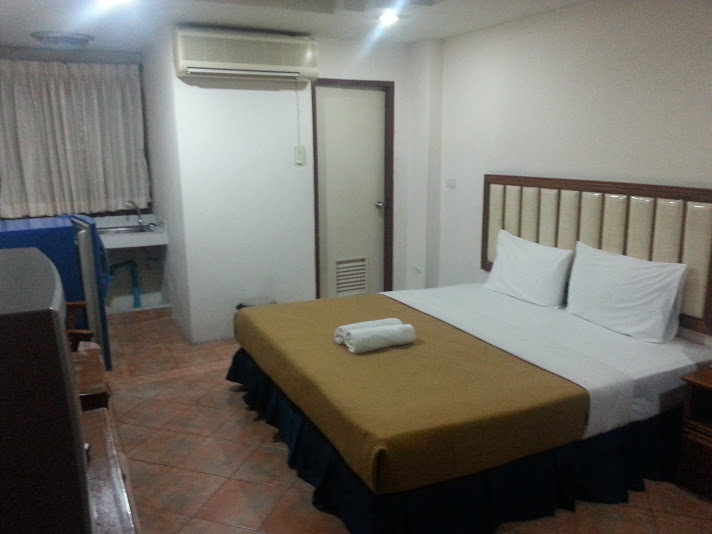 So we only paid RM22 per person per night ! The receptionist in this hotel were very friendly and their hospitality was great. I overheard them speaking Kelantanese on the phone so I decided to have a conversation with them as I know the basic Kelantenese. 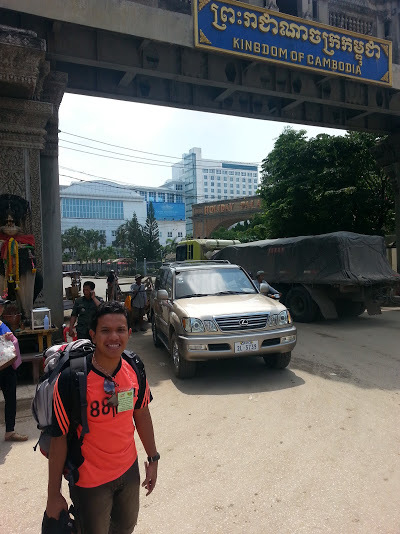 From there, I was told that the owner and workers of this hotel were from Pattani and most of them were muslim. So all the foods they served were halal foods. Its really a big relief for me. I dont have to worry much about food in this hotel. Their room was very comfortable and I believed i had struck a bargain by choosing this hotel.